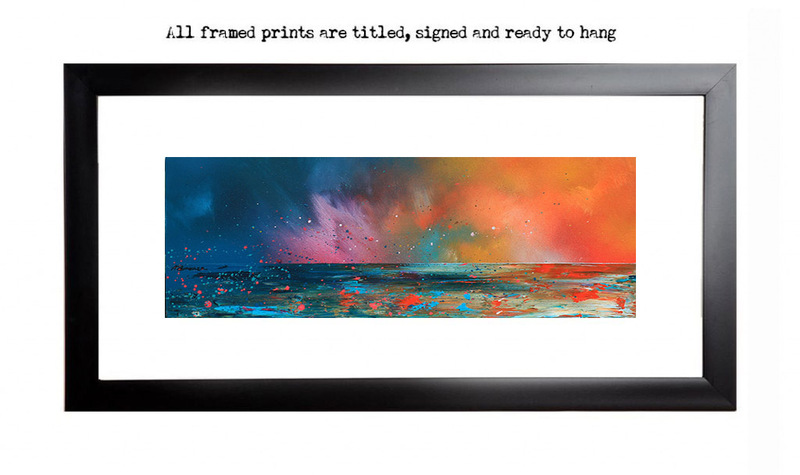 An original painting & prints of a summer sunset from The Ardnamurchan Peninsula, Scottish West coast. An original abstract, atmospheric landscape painting of a summer sunset from the Ardnmurchan Peninsula, Scottish West Coast. Paintings & prints of Ardnamurchan Summer Sunset, Evening Squall, Scotland by Scottish landscape painter Andy Peutherer. Ardnamurchan Summer Sunset, Evening Squall, Scotland.